Hazel Jewell Bagwell was born on 17 February 1909 in Horatio, Sevier County, Arkansas. She was the daughter of David Thompson (Thomps) Bagwell and Ada Tinsey Russell. As of 25 June 1927,her married name was Millender. Hazel Jewell Bagwell married Thomas J. Millender on 25 June 1927 at Sevier County, Arkansas. Hazel Jewell Bagwell and Thomas J. Millender were divorced before 1944. Hazel Jewell Bagwell died on 15 March 1978 in Genoa, Miller County, Arkansas, at age 69. She was buried at East Memorial Gardens, Texarkana, Miller County, Arkansas. [S2198] Email from Jamie C. Duncan Pugmire dated March 2012 to Hunter Wayne Bagwell; Subject Line: Thomas J. Millender and Hazel Bagwell Descendents. 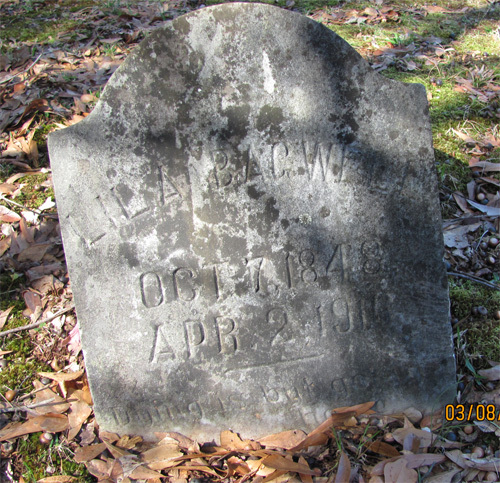 Jane Bagwell was born circa 1860 in Alabama.1 She was the daughter of Frances W. Bagwell and Mary (?) 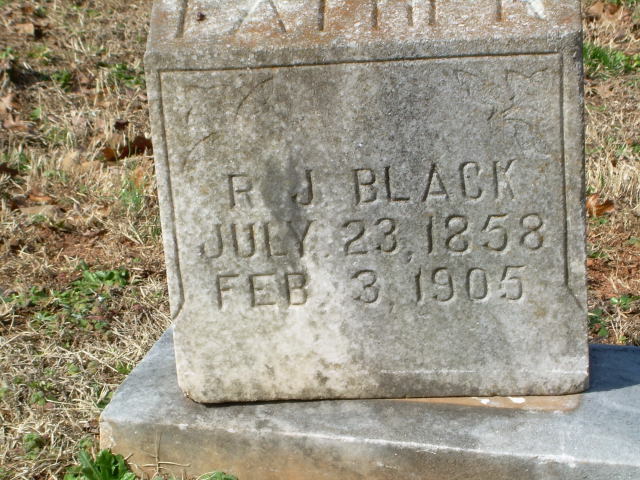 As of after 1875,her married name was Babcock. Jane Bagwell married (?) Babcock after 1875. Jane Bagwell died after 1930. (?) Babcock married Jane Bagwell, daughter of Frances W. Bagwell and Mary (? ), after 1875. Jim "Jimmie" Bagwell is the son of Benjamin Isaac Bagwell and Laura Rickard. [S1753] Mrs. Lilia Bagwell, South Carolina Death Certificate - Mrs. Lilia Bagwell. Walter C. Black was born circa 1880 in South Carolina. He was the son of Robert J. Black and Emma C. Bagwell. Child of Eliza Haynes and Littleton Bagwell Jr.
Lottie Marie Bagwell was born on 6 July 1916 in Holdenville, Oklahoma.1 She was the daughter of Jesse Bradford Bagwell and Georgia Lee Looney.1 As of 18 April 1938,her married name was Jones.1 Lottie Marie Bagwell married James Henry Jones on 18 April 1938 at Leavenworth, Kansas.1 Lottie Marie Bagwell died on 22 May 2011 in Escondido, San Diego County, California, at age 94. She was buried at Oak Hill Memorial Park, Escondido, San Diego County, California.